Indeed, Irish players would not want to miss out in fun. Jonny Jackpot is a super new kid on the block. However, unlike most other new entrants, Jonny Jackpot makes a stylish entry. The platform seems to have everything in place. Firstly, the web design is well thought out. The platform uses a simple HTML5 design to provide a rich user interface to both PC and mobile phone users. Even more, they use minimal graphics to ensure that your gaming experience is smooth. Furthermore, Jonny Jackpot is a new brand from an operator that needs no introduction, White Hat Gaming. This is why Jonny Jackpot is a new entrant with a difference. The platform is regulated by the MGA and the UKGC. Even more, there is a massive selection of games; plenty of bonuses and promotions and several other cool features. Of course, mobile gaming is no longer optional. As it stands, every online casino, especially the new ones must support mobile gaming. Likewise, Jonny Jackpot is a haven for mobile gaming. The platform uses an optimised design to ensure that mobile users do not notice any difference between playing on the desktop and mobile phones/tablets. As well, mobile users have access to several hundred games; the support team and several other cool features. So, when you are on transit or feel bored, log into your account on Jonny Jackpot from your mobile phone and put a smile on your face again. With all these put together, Jonny Jackpot offers a selection of more than 1500 games in various categories. This includes a good number of games in different groups that include Table Games; Slot Machines; Jackpots; Scratch; Video poker; Live Games etc. Hence, you will find a selection of games that include Blackjack; Roulette; Starburst; Berryburst; Gonzo’s Quest; Jacks or Better; Caribbean Stud Poker; Baccarat Pro; Oasis Poker; Texas Hold’em; Book of Dead; Cubic Fruits; Gonzo’s Quest; Reel Bonus; Ancient Script; Lucky Valentine; Club Spinner; Ninja Ways; Vikings; Jungle Spirit and many more. Just like every new entrant seeking attention, Jonny Jackpot offers an enticing welcome bonus. The offer is so juicy that you’ll surely find it difficult to resist. As a new player, you get one shot to double your first verified deposit on Jonny Jackpot. This offer is as much as €1000. 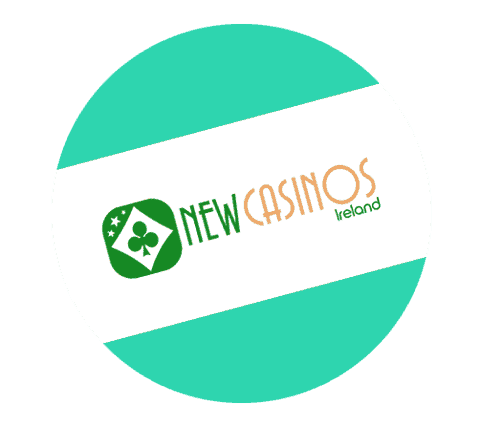 Hence, depending on the amount that you deposit, there is as much as €1000 up for grabs. Also, this offer also comes with another 100 extra spins on Starburst. Meanwhile, the welcome bonus has to be wagered a minimum of 35 times. This means that the more bonus that you receive, the more unrealistic it becomes to meet the play through terms. As well, the winnings from the extra spins are also subject to the same number of play through requirements as well. So, think about it before you make that deposit. Just before you send that mail or hit the live chat button, take a look at the FAQ section. The answers might be there. The FAQ section at Jonny Jackpot takes care of questions regarding payments; technical issues; withdrawals; login issues and many more. It is not much. So, if you still have questions, feel free to send a mail to support@jonnyjackpot.com. Even more, the live chat is also available 24/7. Even though gambling is fun, it is also business. From the moment that you decide to make that first deposit, then you need to know about how to do that and also how to receive your payments. So far, Jonny Jackpot has a list of options that can be used for both deposits and withdrawals. Visit the cashier section and select any of your preferred method from the list. Jonny Jackpot is a new entrant with a difference. They’ve got great games; massive promotions and bonuses; round the clock support and a lot of cool features that will surely keep you entertained.